Every once in a while I look at my TBR list just right and discover interesting little tidbits. Sometimes it’s just amusing to me, like I’ll resuffle it to random and several books with blue covers will line up. (OK, maybe really is only amusing to me.) But sometimes it’s something a little more substantial, like the fact that I have four books titled Blood Lust. And when that sort of thing happens I can’t help but want to do something with it. Like, maybe, read them all back to back. I did it last year with Bound By Blood books. I had five of them, so I dedicated a week to a single title and was unreasonably amused by seeing them all line up on my review shelf. This is essentially just a, ‘hey this is what I’m doing’ post. But keep tuned. Hopefully I’ll like Blood Lust more than Bound by Blood. Only one way to find out, right? This entry was posted in books/book review, Challenges on February 28, 2015 by Sadie. 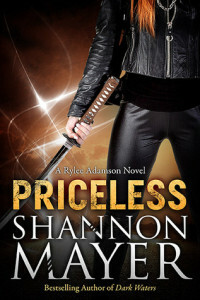 I downloaded a copy of Shannon Mayer‘s Priceless from the Amazon free list. I really rather enjoyed this. There wasn’t anything startlingly new or exceptional about it, but it was a fun read. It did twist a few of the mythological creatures in interesting ways. There were both day and night vampire, for example, and werewolves (at least her werewolf) seemed closer to a domesticated dog than a wolf or a man. But it all added a little flair. I did wonder, with so very many mythological creatures running about, how no one noticed. And/or why was Mr. FBI guy suddenly able to see them? The editing could use one more pass, though comparatively, it really wasn’t bad. The characters were a little underdeveloped (for example, Mr. FBI guy inferred that he never trusts a partner, but we have no idea why) and the plot was fairly point and shoot, with a lot left skimmed over (for example, after investigating/stalking her for 10 years Rylee and Mr. FBI guy seemed to have no animosity toward one another) but all in all, I had fun with it. I looked into the sequel. Probably would have bought it if my book budget wasn’t so tight. Maybe I can find someone to borrow it from. 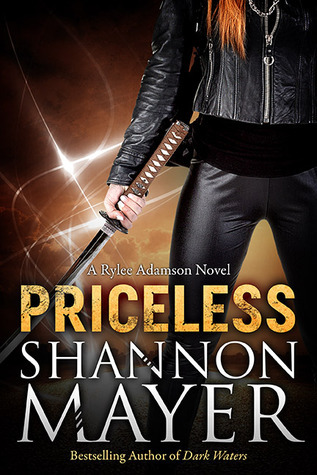 This entry was posted in books/book review, Challenges, First Reads 2015, indiefever 2015 and tagged #indiefever, book review, challenges, fantasy, Indie, magic, PNR, vampire, werewolf on February 27, 2015 by Sadie. I received a copy of Served Hot, by Annabeth Albert from Netgalley. Robby is a self-employed barista with a busy coffee cart, a warm smile, and a major crush on one of his customers. David is a handsome finance director who works nearby, eats lunch by himself, and expects nothing but “the usual”—small vanilla latte—from the cute guy in the cart. 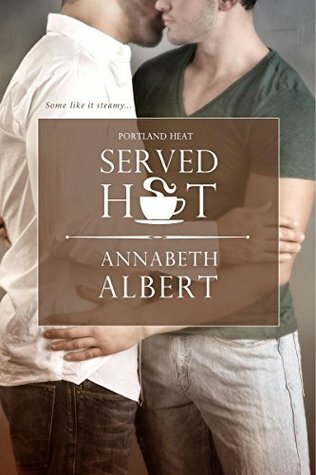 But when David shows up for his first Portland Pride festival, Robby works up the nerve to take their slow-brewing relationship to the next level. David, however, is newly out and single, still grieving the loss of his longtime lover, and unsure if he’s ready to date again. Yet with every fresh latte, sweet exchange—and near hook-up—David and Robby go from simmering to steaming to piping hot. The question is: Will someone get burned? While the writing here was fine, the story was only OK for me. I thought the romance was very sweet, but the book is basically just Robby over-analysing and agonising over every little detail of his budding relationship with David. Large chunks of time were skipped over, making all that agonising seem rushed and pointless. He always seemed to be wanting more than David was ready to give and it felt needy and selfish. I did appreciate that Robbie was half-Korean. It’s nice to find a POC as a main character. I was disappointed to see him fulfilling most of the trite ‘gay Asian ‘ stereotypes though, even as the author acknowledged them. All in all, not a bad book and an easy read. But it’s not particularly deep or moving in any manner. This entry was posted in books/book review, Challenges, First Reads 2015, indiefever 2015 and tagged #indiefever, book review, challenges, Indie, M/M, romance on February 26, 2015 by Sadie.